PCGamesN Nvidia Showcase posts are created in partnership with Nvidia. 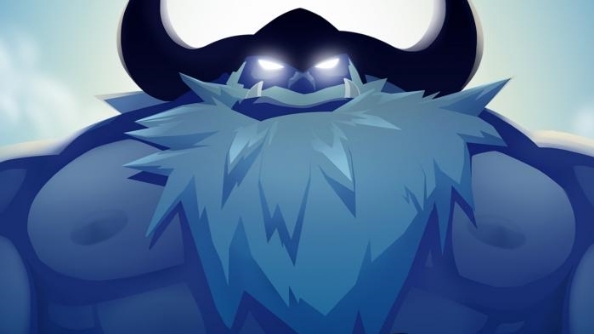 Developed by Thunder Lotus Games, Jotun is an enchanting action adventure based on Norse Mythology. Now available to stream on NVIDIA SHIELD devices with a GeForce NOW membership, Jotun casts players as a recently deceased female Viking warrior named Thora who is forbidden from entering the great halls of Valhalla due to the inglorious nature of her death at sea. In order to restore the Norse gods’ faith in her and her worthiness to enter Valhalla, she must venture into purgatory and battle the giant Jotun elementals that await her there. Armed with a mighty two-handed axe, Thora also collects new powers from each boss enemy she defeats including Heimdall’s Shield, Frigg’s Healing and even Thor’s Hammer among other abilities she can wield in battle. On top of its inspired Norse mythology-themed narrative and world, Jotun features a stunning art-style. Its characters and settings were created using hand-drawn, frame-by-frame artwork. The game also looks great on SHIELD as it can be streamed with a resolution up to 1080p. If you have a GeForce NOW membership (free for three months and just $7.99 a month after that), you can stream Jotun now on SHIELD Android TV.